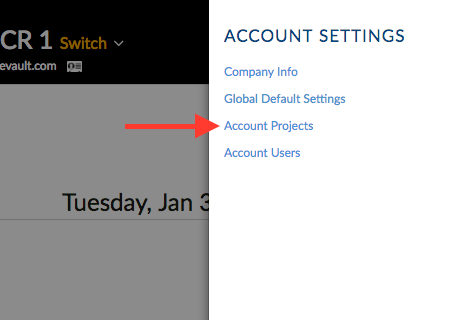 Go to your 'ACCOUNT SETTINGS' (displayed as a gear icon on the top right). Make sure to select 'Yes' for the question regarding users not having access to a smartphone (this is essential, otherwise a phone number for the project will not be created). You will now see a project phone number below the project name. 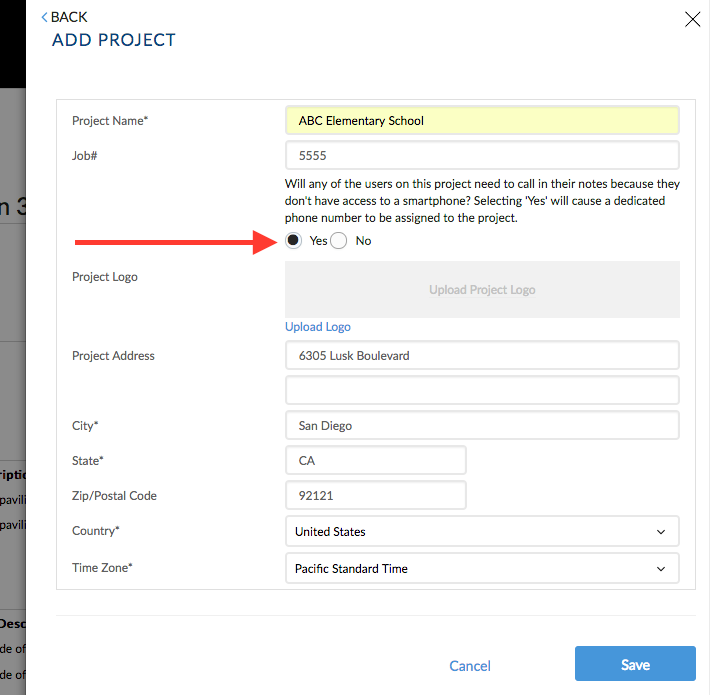 Users can call that phone number to input voice notes into the project. Our transcription team will then transcribe their voice notes into words (unless you have transcription turned off for your account). We recommend storing the project phone number and project email address. You can email in photos and files that you would like to add into the daily report as well.